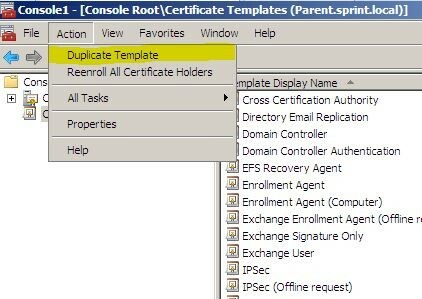 in a parent-child domain environment there will be different child domains which connected with the HQ main servers. 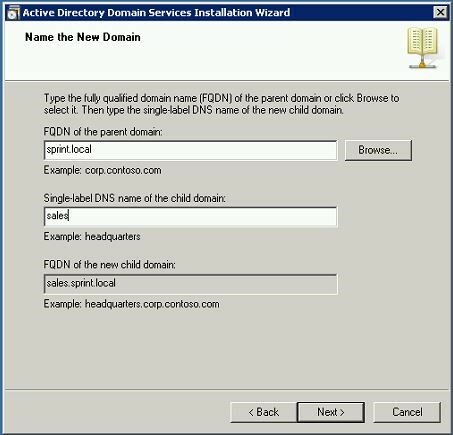 By default due to the trust relationship between child and parent domains users can log in to different domains resources using their logins. 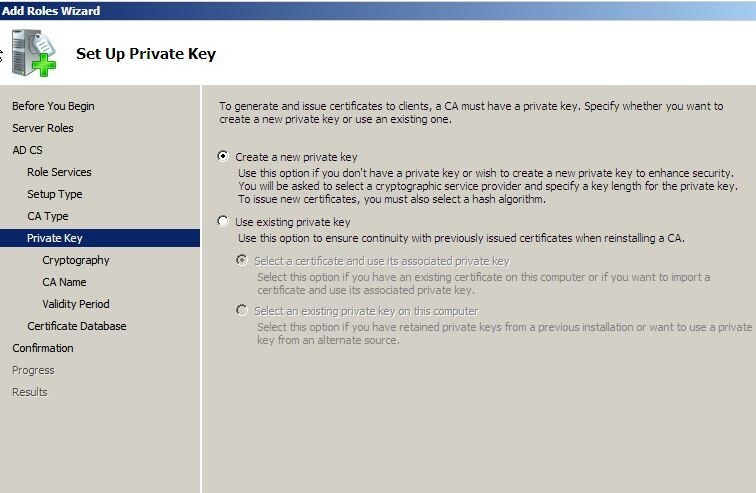 For ex- an employee in HQ will be able to log in to sales child domain with his login credentials which used in HQ. 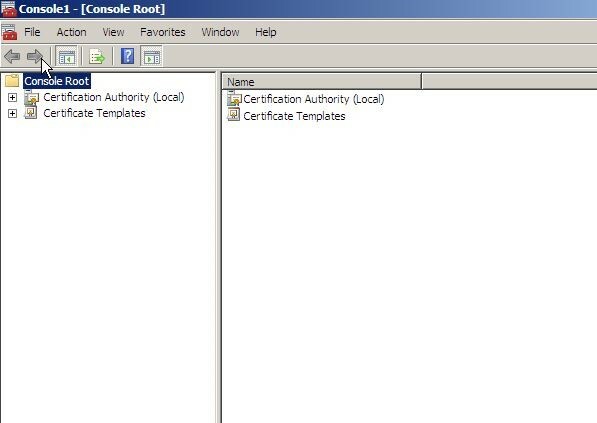 But in occassions this need to be restricted and they may only need to be allowed to log in to their corresponding domain (parent or child ) resources only. 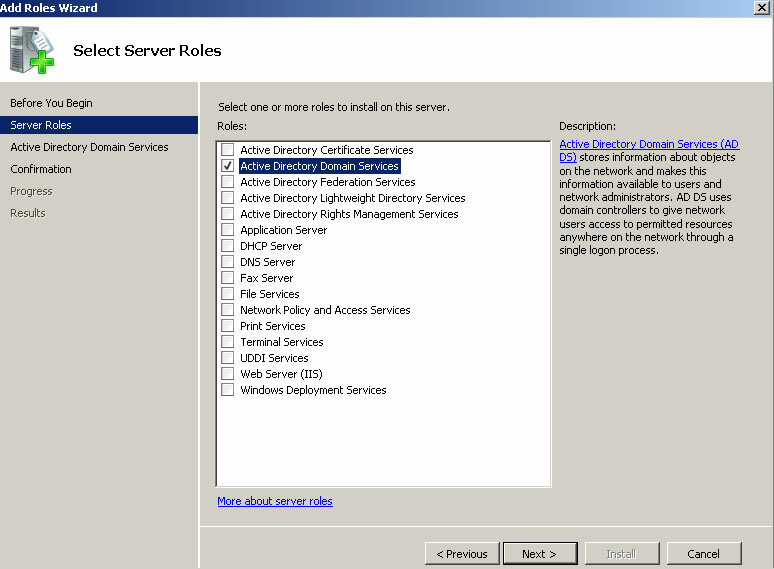 But roles such as system manager, network administrators etc. 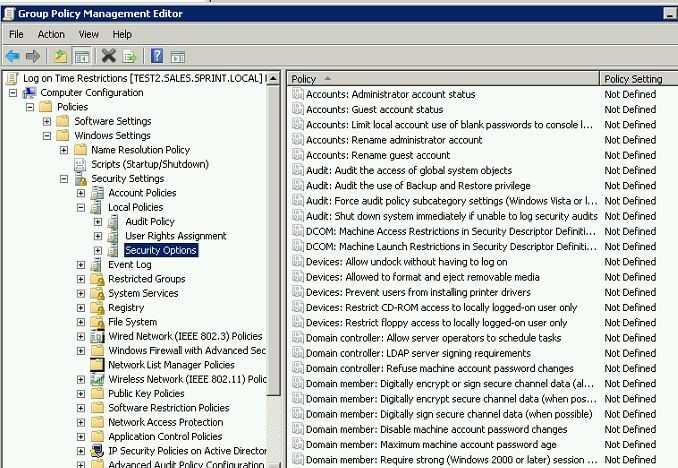 will need to be having these features to use for company operations. 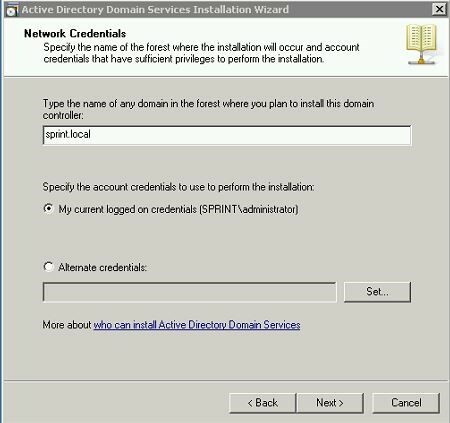 By default the resources are allowed to login for all the users in “Domain Admins”, “Domain users”, “Administrators”, “Authenticated Users” groups. 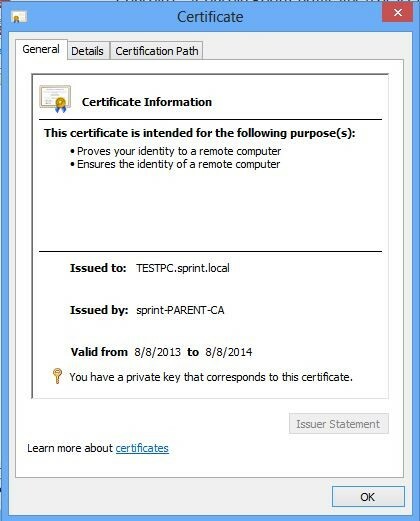 For the demonstration I have setup parent domain called sprint.local and child domain called sales.sprint.local. 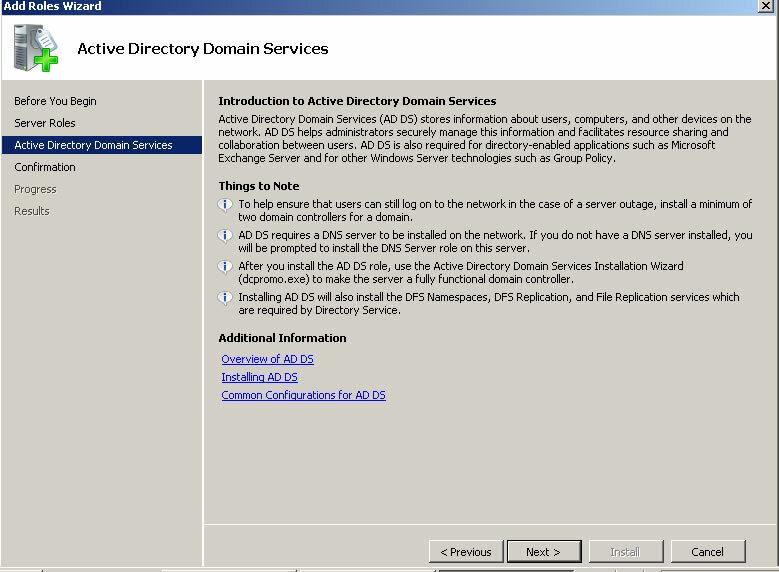 In here I am going to show how we can block access to pcs in child domain from the parent domain. 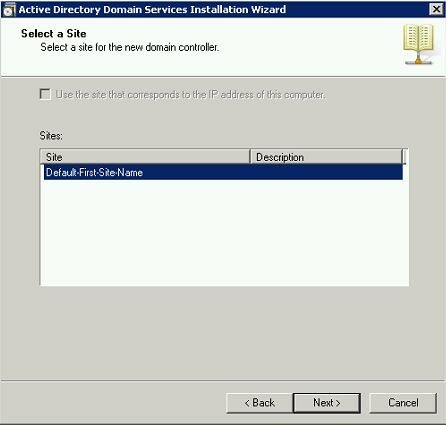 As I mentioned because of the trust between domains, by default users in parent domain will be log in to pc in child domain just using his credentials without any issues. 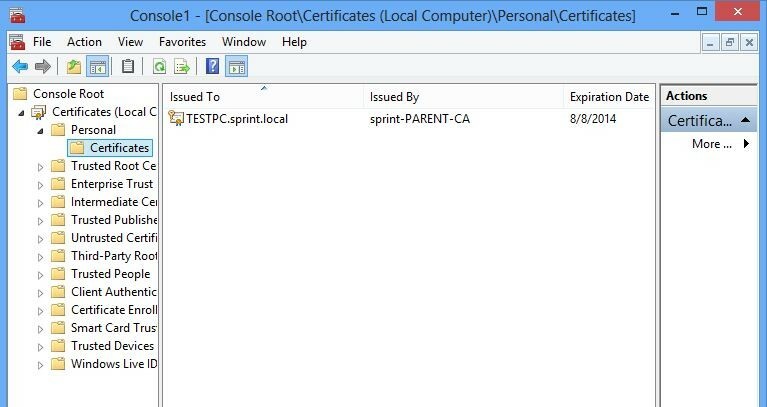 I am log in to pc in sales.sprint.local called TESTPC using user “hq3” from Parent Domain. 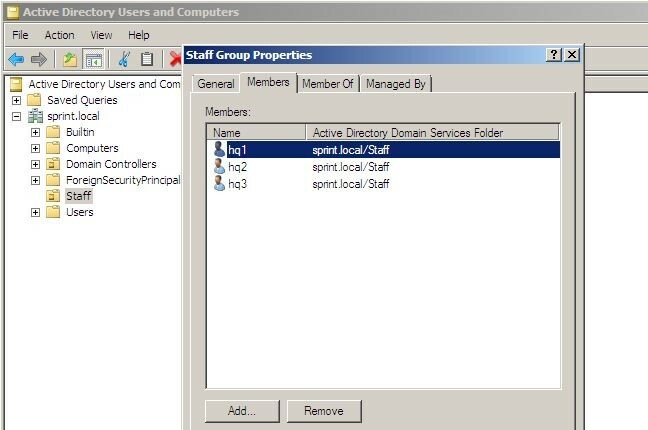 As the next step I have created new security group called “Staff Group” in sprint.local Parent domain and add hq1,hq2, and recently tested user hq3 to it. Here I am not going to give every step as in previous steps I have showed how to create a group. 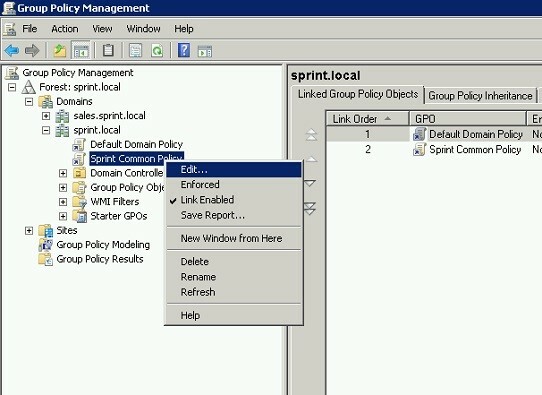 Now we need to go in to the child domain sales.sprint.local and create the group policy to block the access from parent domain’s “Staff Group”. 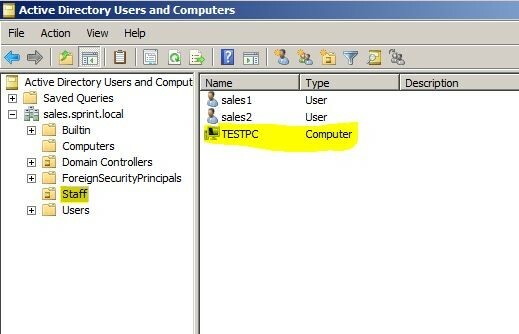 In Sales.sprint.local child domain we have Organization Unit Called “Staff” and the TESTPC is in the staff OU. 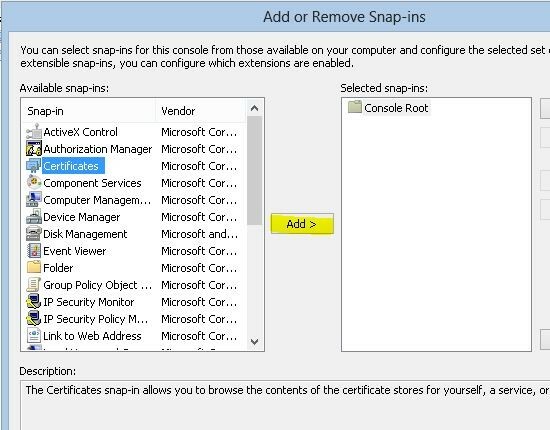 Now let’s open up the “Group Policy Management” snap in in administrative tools. 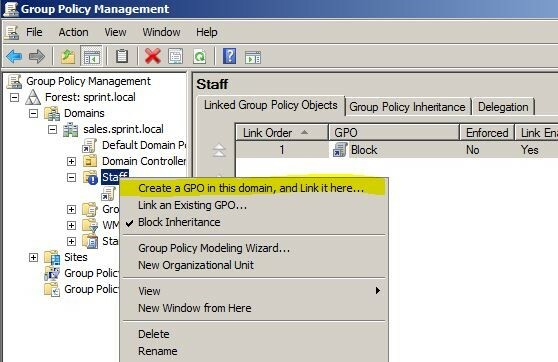 Once it open expand the domain tree and go to “Staff” OU then right click on it and select “Create GPO in this domain and link it here”. 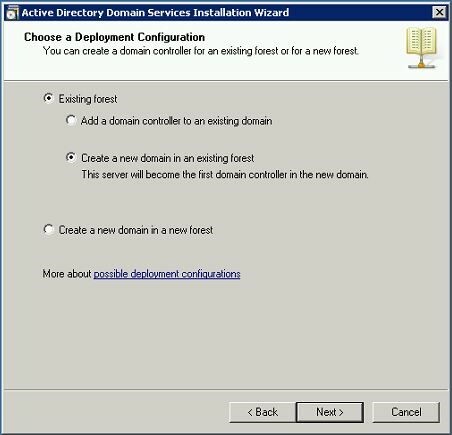 In here you will see I had selected “Block Inheritance” option already, it is just to prevent group policy inheritance from top level to prevent any conflict on demonstration. 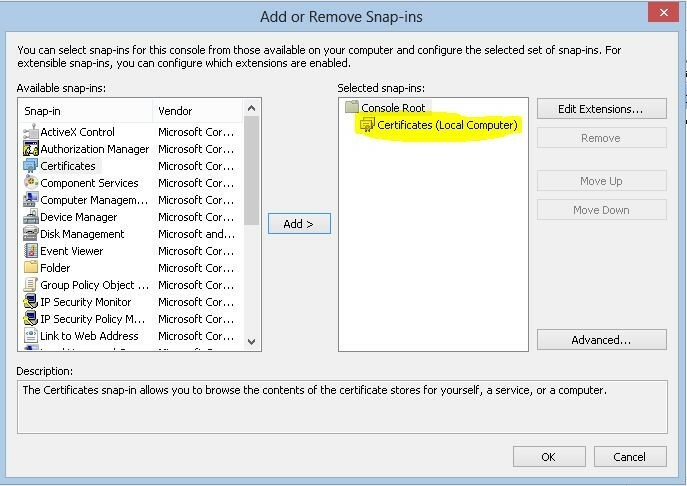 This feature can use depend on the situation. 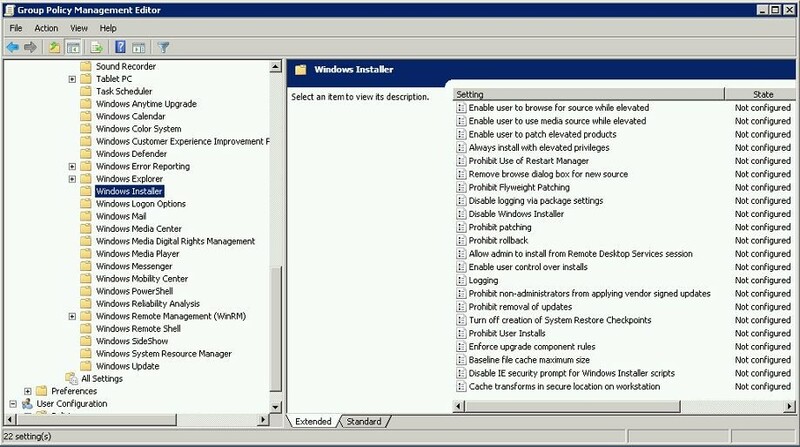 In next window choose appropriate name and click ok.
Once it’s added right click on new policy and click on edit to go to policy edit window. 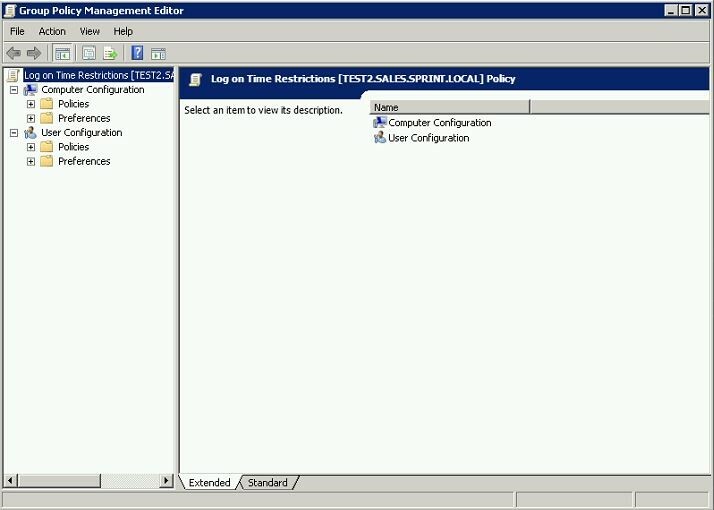 In the policy editor go to computer configurations > windows settings > local policies > user rights assignment. 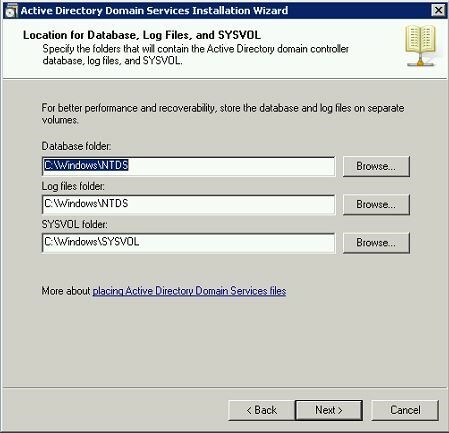 Then from the list double click on “Deny Log on Locally” option. 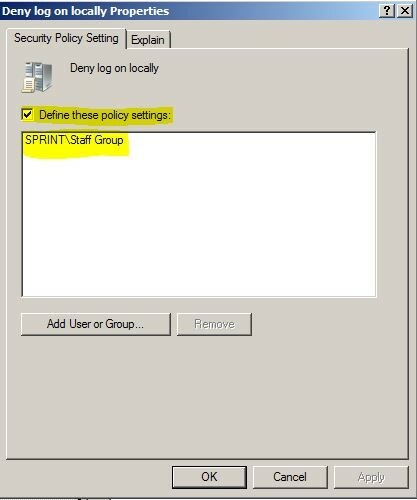 Then once it open, click on “define these policy settings” and then click “add user or group” button to add the “Sprint\Staff Group” to it. 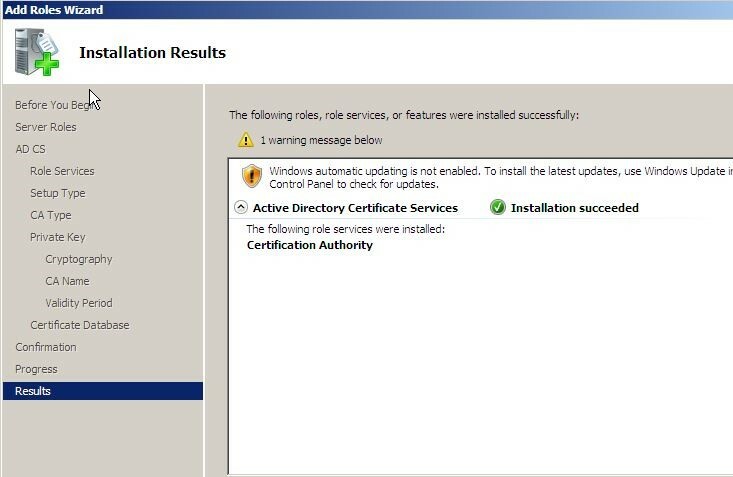 Click ok to apply the change. 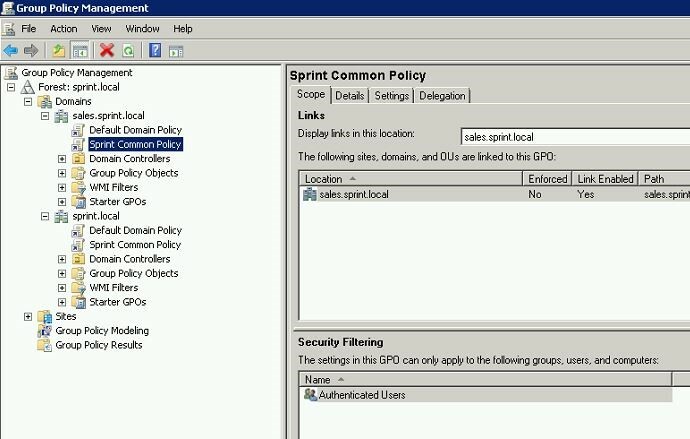 Then we ready with the policy so it should block the access permissions to sales.sprint.local domain from parent domain’s “Staff Group”. To test it out first I restarted the TESTPC on sales.sprint.local domain to apply the group policies. 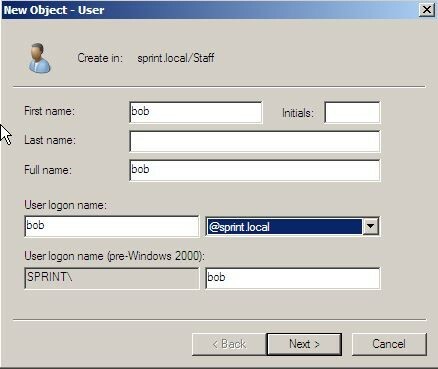 And then I was trying to log in to the pc as sprint\hq3. 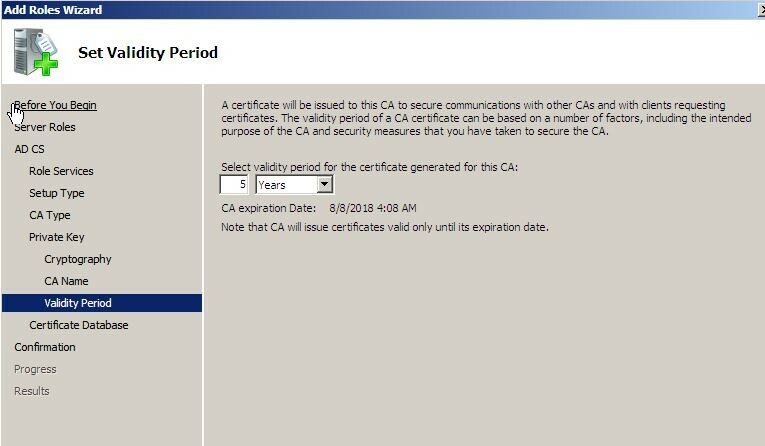 Then right away it gave the error saying it’s not permitted. 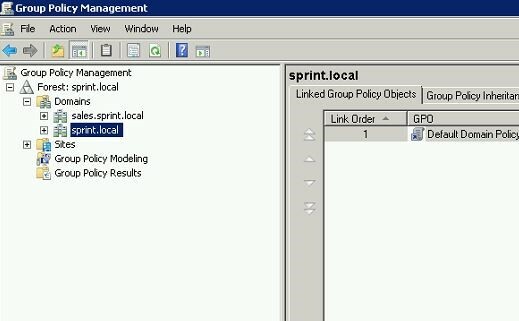 So the method was success and we were able to prevent access from sprint\staff group which by default had access permissions. 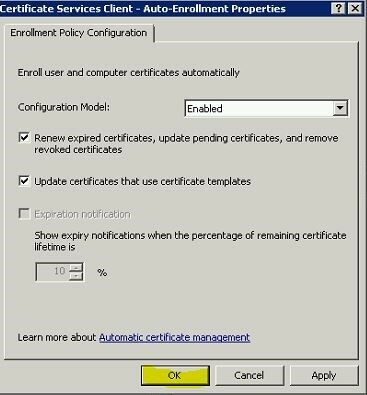 This is just demo and we can use this efficiency with the department requirements to block the group. 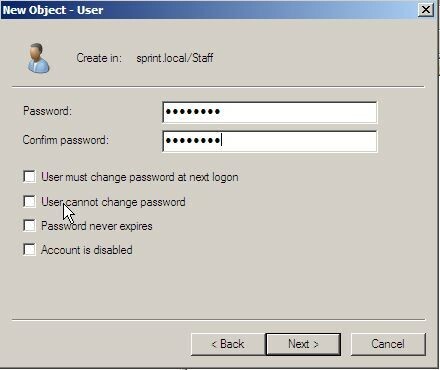 With this it only block access to the users in sprint\ staff group and all others can still log in. 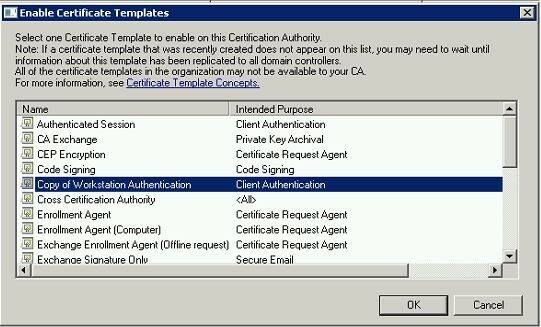 How to Delegate permissions in AD Environment ? 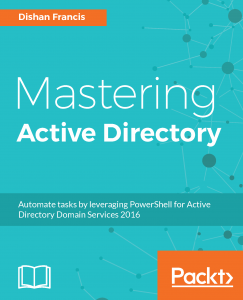 In an Organization there will be so many different roles assigned for different tasks. 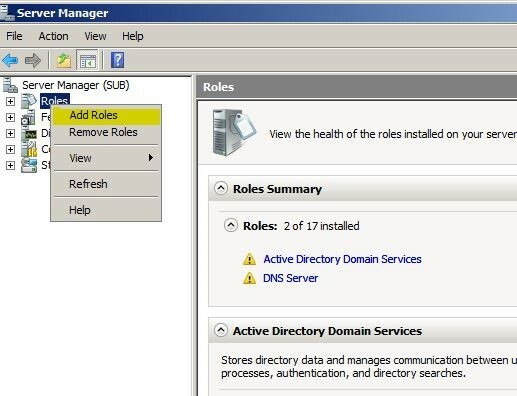 As network engineer it’s important to decide how these tasks can integrate with company directory services as it will improve the productivity. 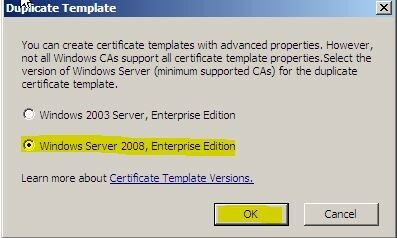 For an example let’s assume a new employ join in. 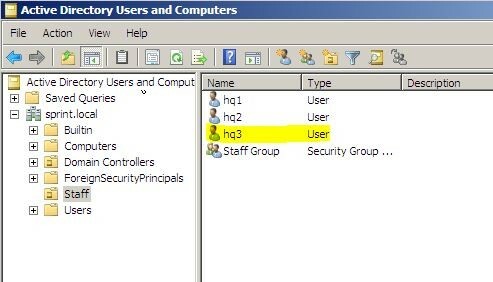 if HR department can add the new user to the domain and add relevant permissions it save time and also work load of IT team. 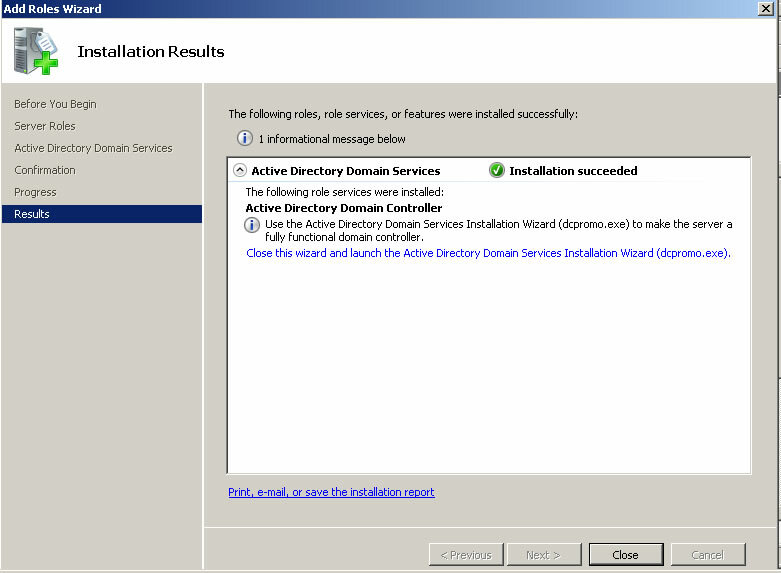 But obviously we can’t just make them with same permissions as domain administrator. 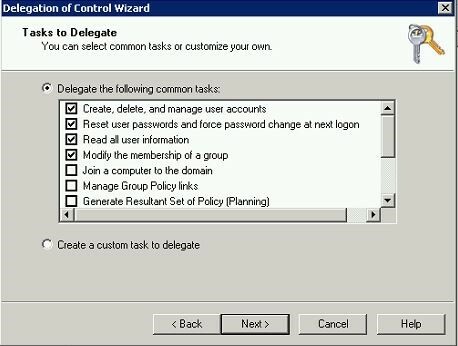 “Delegate Control” option in AD helps to decide what sort of activities these types of users, groups can do with active directory functions. I will explain this in details with following scenario. 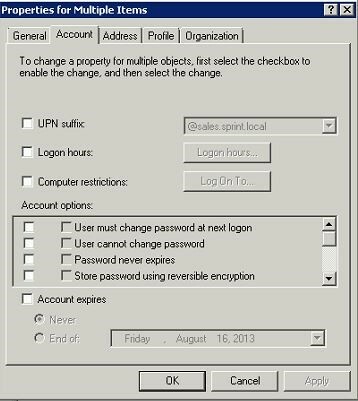 • To add, edit, delete user accounts when required. 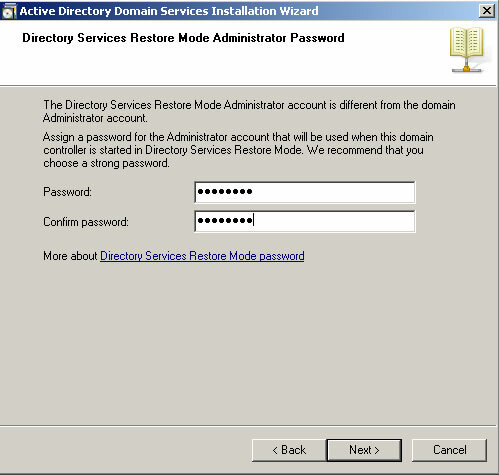 • To reset passwords for user accounts. 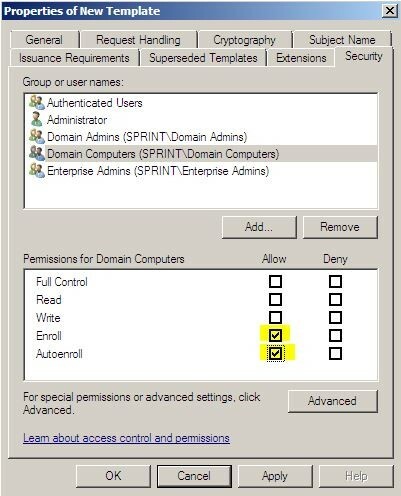 To assign these permissions there is no built in group in AD, so we have to delegate those permissions manually. 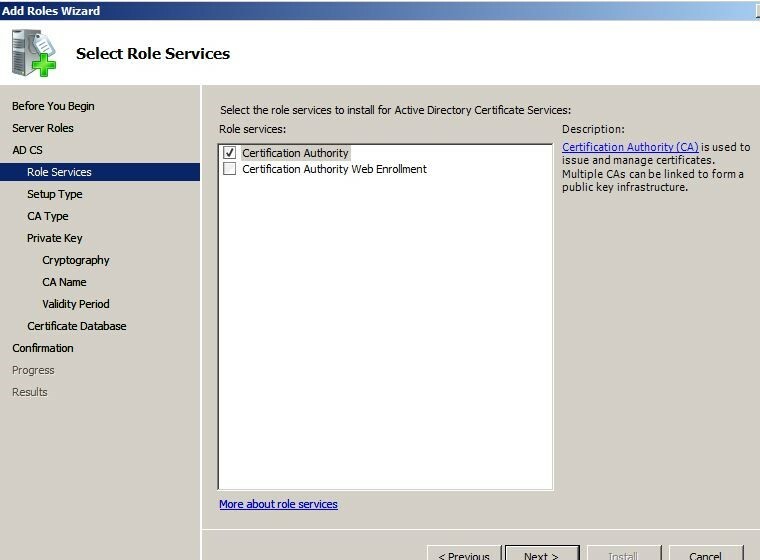 Also the role permissions should stay within the department and they should not be able to use it on other child domains or parent domains. 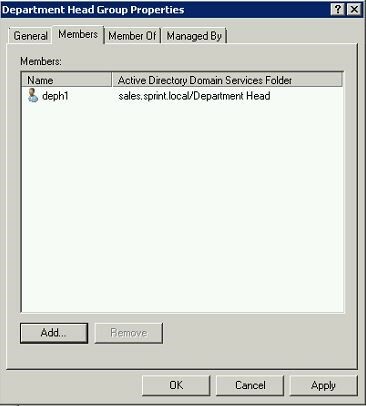 For the demonstration I will be using sales.sprint.local child domain. 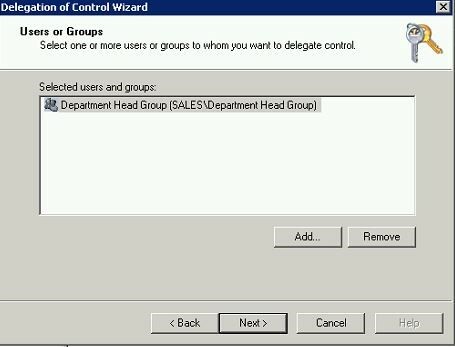 We will be creating separate OU and Group for Department head and delegate permissions to the group. 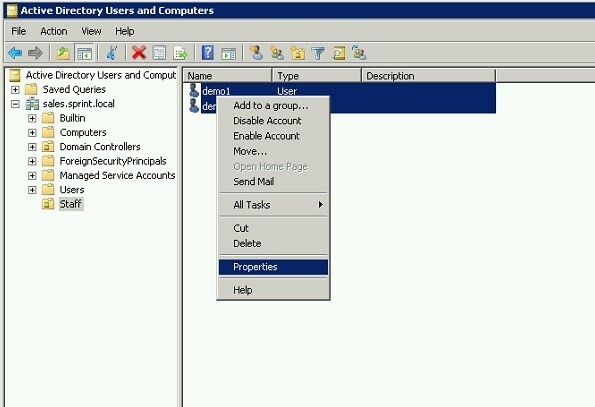 That way we can add/remove users to the group when required. 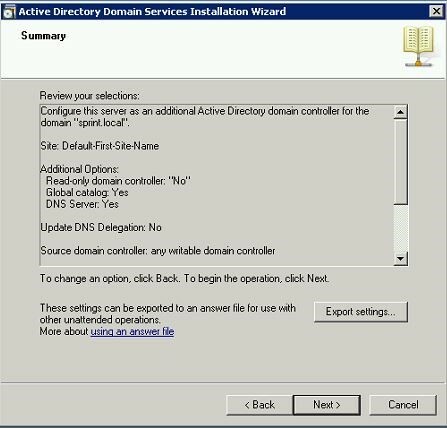 To do this, need to log in to domain with administrative rights. 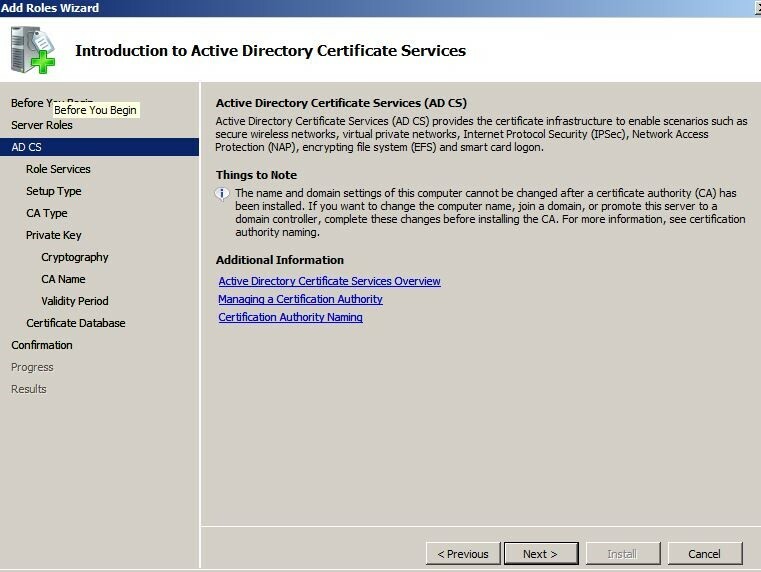 Then from active directory users and computer snap in created OU called Department Head. 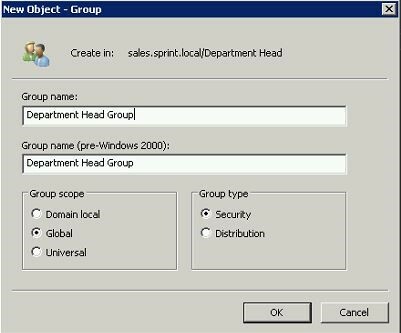 Then I have created a group called “Department Head Group” as Global Security Group. 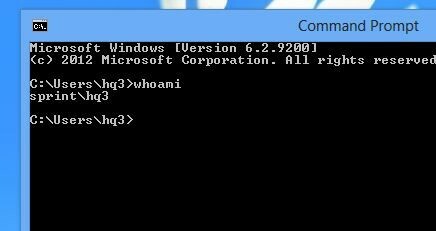 For the demonstration I have created a user called “deph1” and I have assigned this user to the group. Now we have the group with proper users in place. 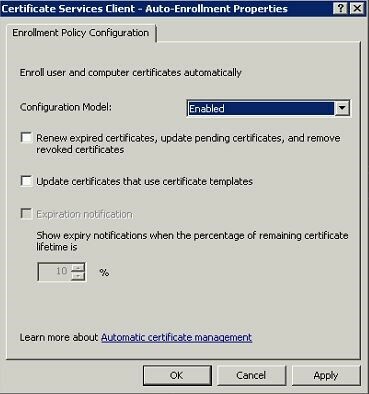 Now we need to delegate the permissions to the group. 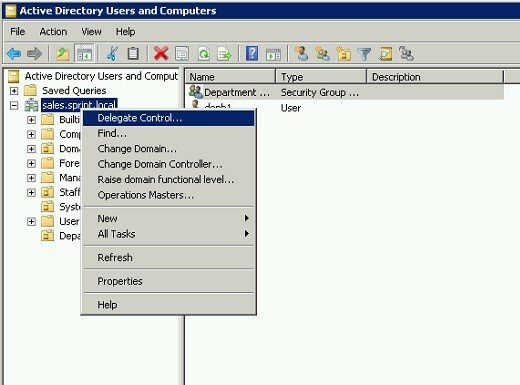 In next window we need to add the “Department Head Group” to the list to assign the permissions. 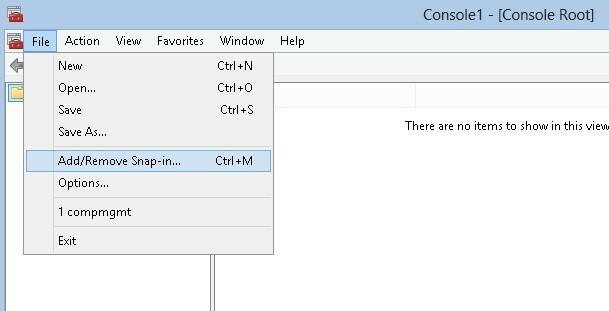 Click “add” to go and select the group and select next to continue. 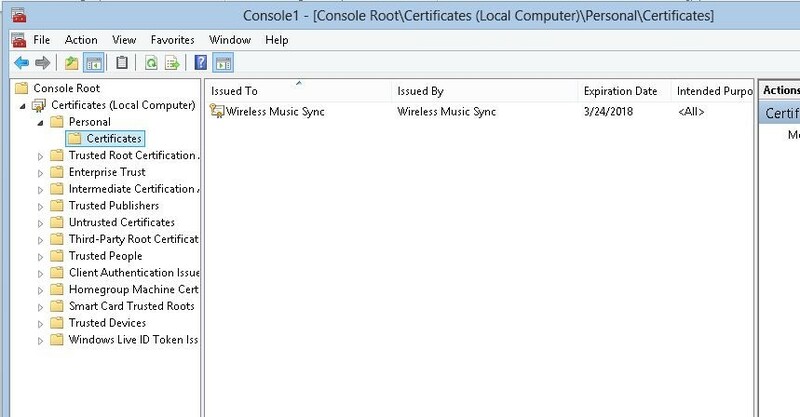 Then it gives the confirmation and click finish to continue. Now we have the group. 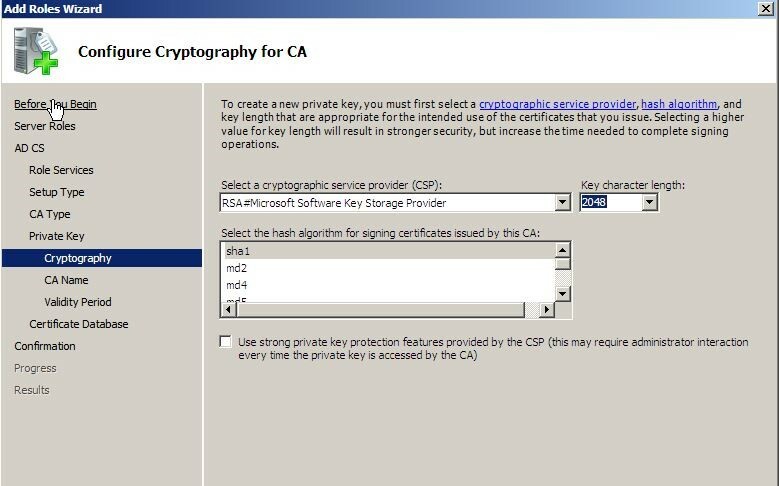 So next step to test it out. 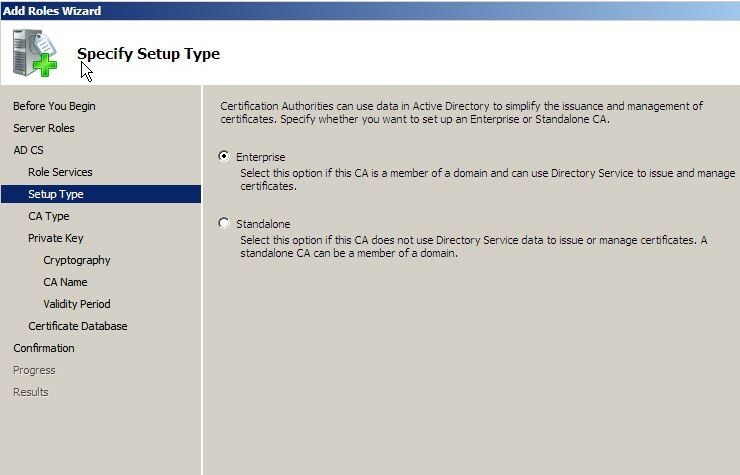 According to permissions he should not be able to log in to domain server. 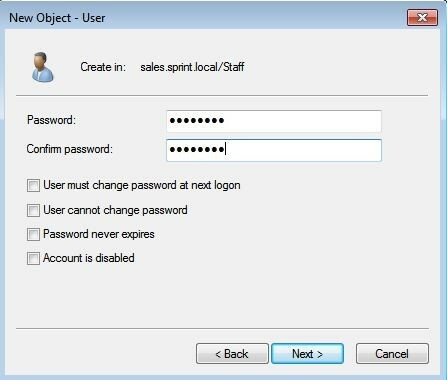 I will try to log in to sales.sprint.local server. 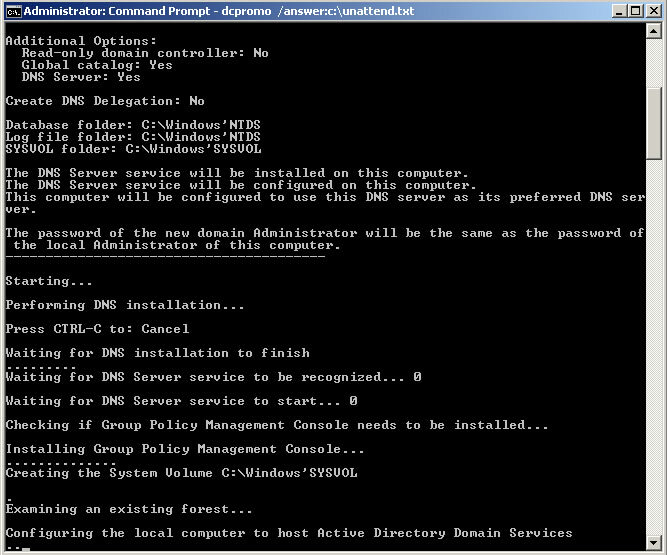 Now let’s see if the user really can use the permissions which are delegated for him. 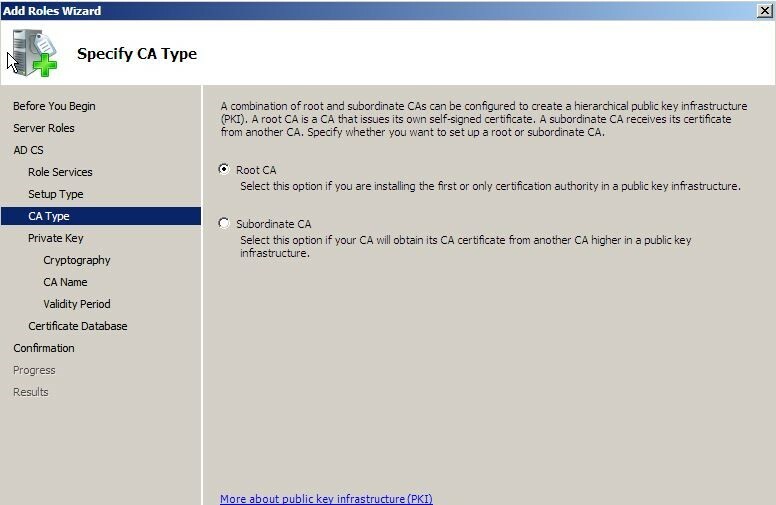 As we know user cannot log in to server itself with given permissions. 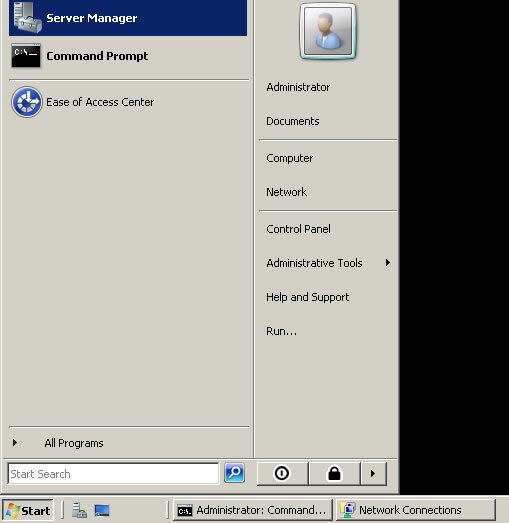 In demonstration user will be using windows 7 sp1 pc. 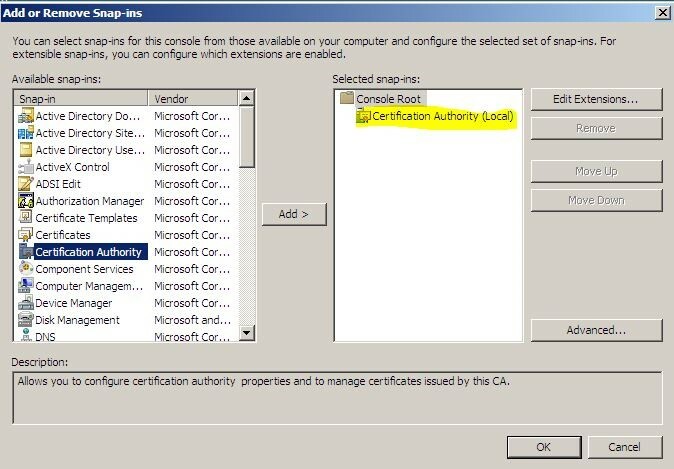 Windows 7 do not comes with active directory snap in by default. 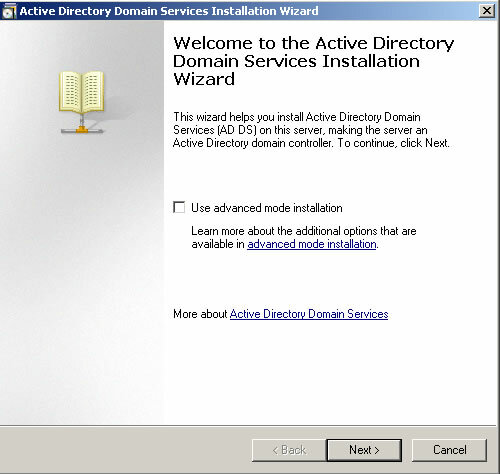 There for we need to install “Remote Server Administration Tools for Windows 7 with Service Pack 1 (SP1)”. 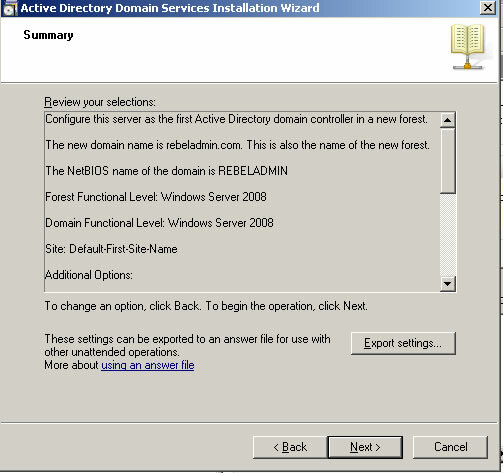 This tool can download from http://www.microsoft.com/en-us/download/details.aspx?id=7887 and the installation instructions also can find there. 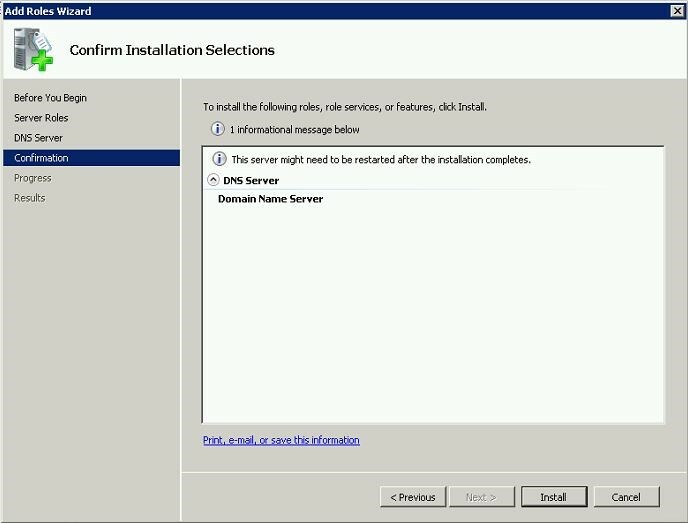 In demonstration I am not going to show how it can be installed. 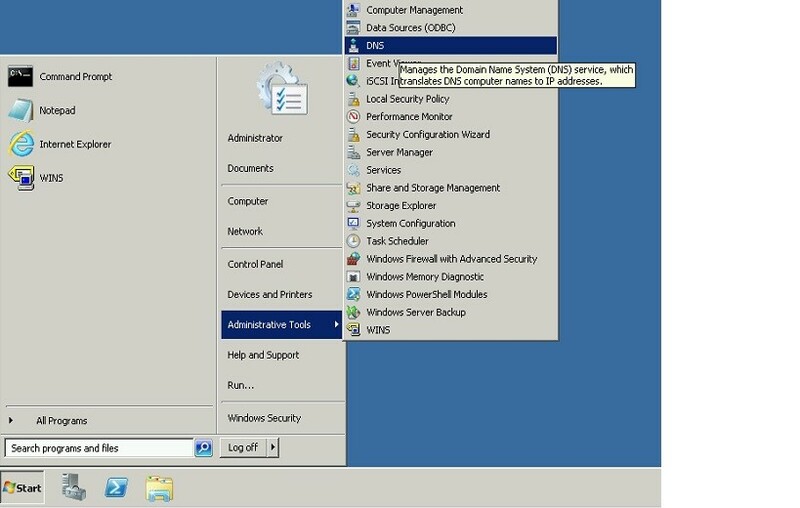 The demo pc I have already installed these tools. 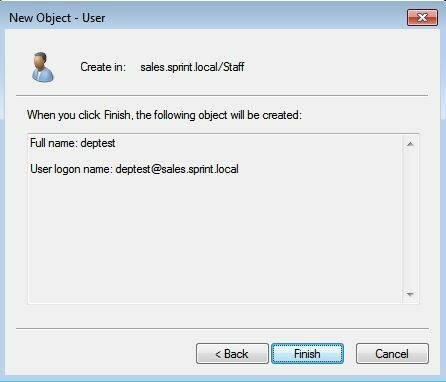 I am log in to the pc which is connected to sales.sprint.local as user deph1. 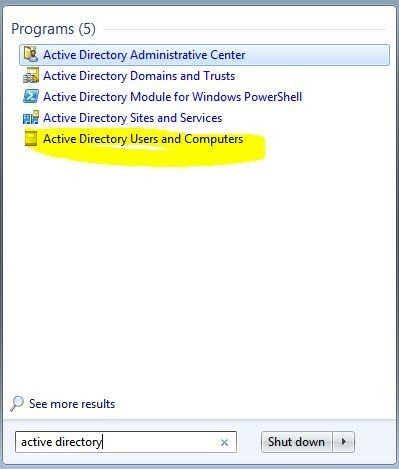 Here we can see the active directory users and computers snap in loaded. 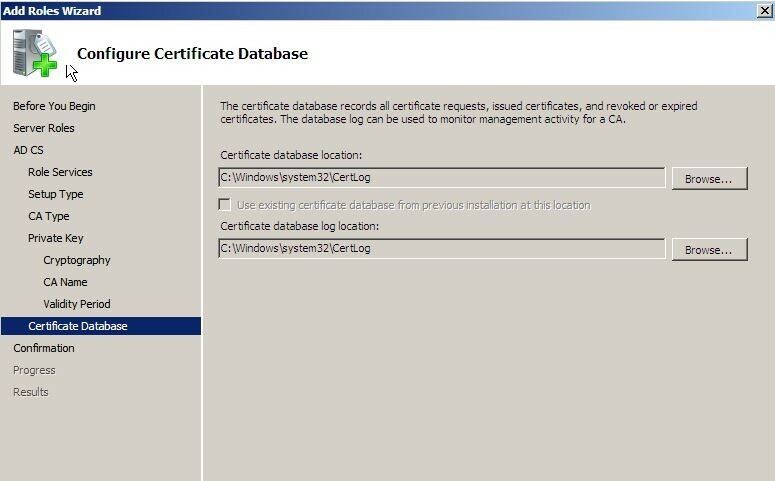 Now we need to test if the user has the permission we assigned. 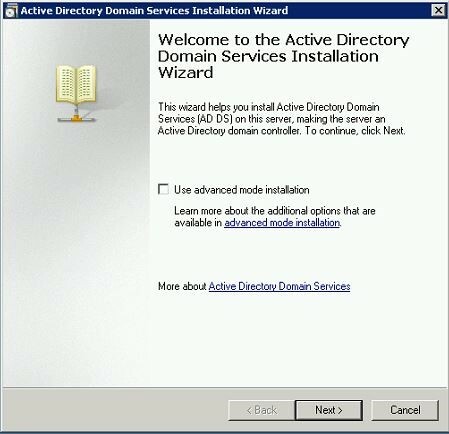 Let’s test it with adding a new user to the active directory. 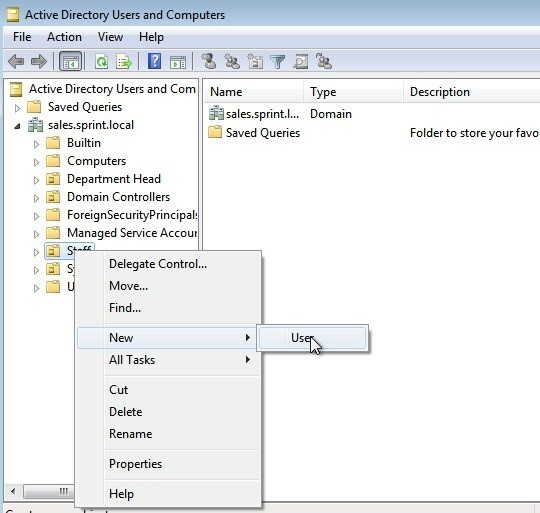 Right click on Staff OU > New > User. 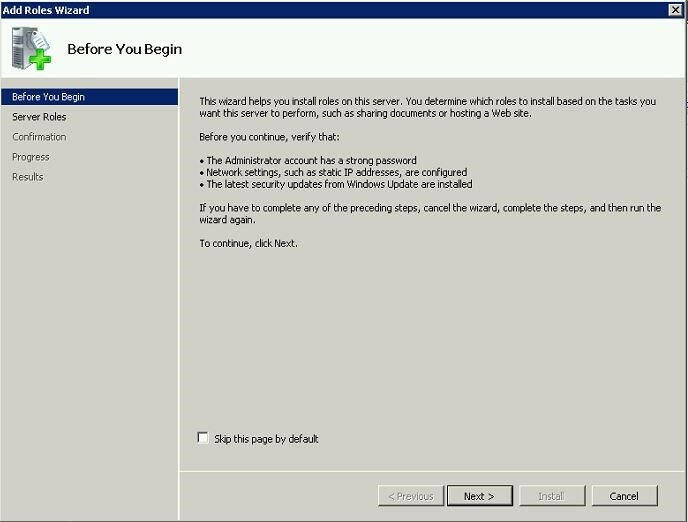 Here we only see the “User” option because we only assign permissions to add users only. Then provide the necessary info for the user and click next to continue. 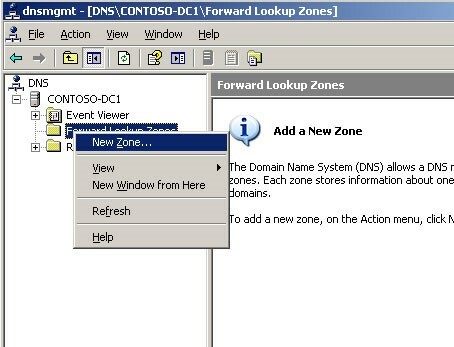 In next window provide the password and click next. 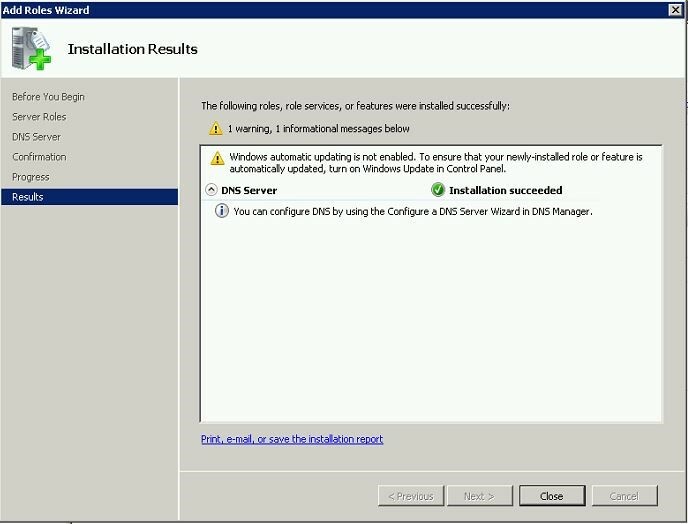 Then click Finish in confirmation windows to add the user. 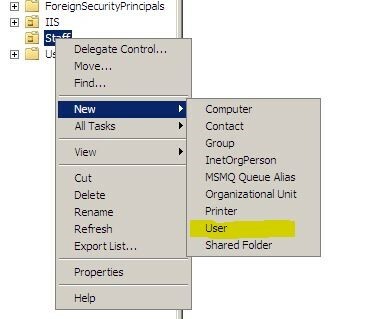 As we can see the permissions delegation is worked well and was able to add the user successfully. 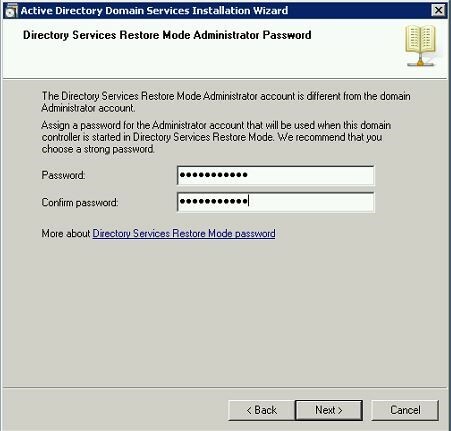 As I have described using two practical examples we can assign the permissions for the group to control different resources on the active directory environment. For this post i have come up with following scenario which will help to understand this properly. • Sales and Marketing Department, Distribution & Shipping and IT Department, operating for 24 hours 7 days per week shift based operations and the other Departments are operating from 8.00a.m. 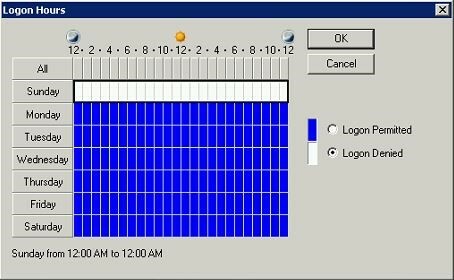 To 4.00 p.m. 6 Days except Sunday. • Financial & Account Department and Administration departments are operating 7.00 a.m. To 5.00 p.m. Monday to Friday, 5 working days. 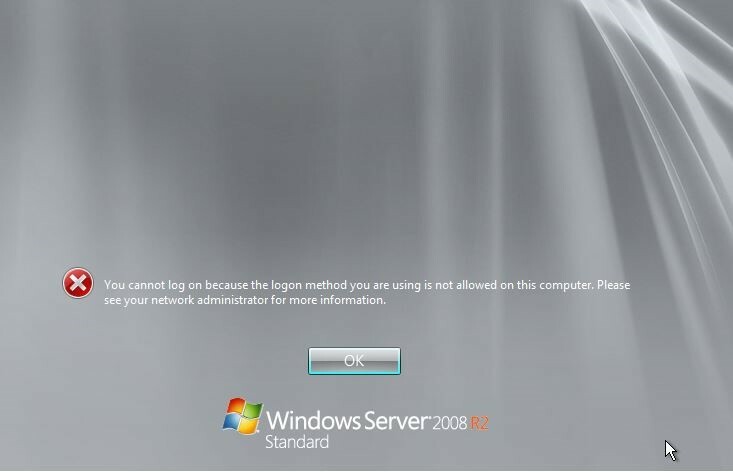 Apart from given hours and days, users should not be able to log in to computers. 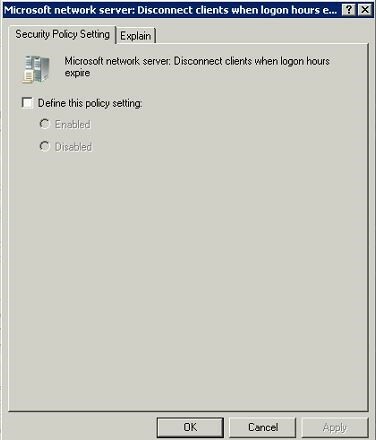 Well this is not something we can fully control by group policy. 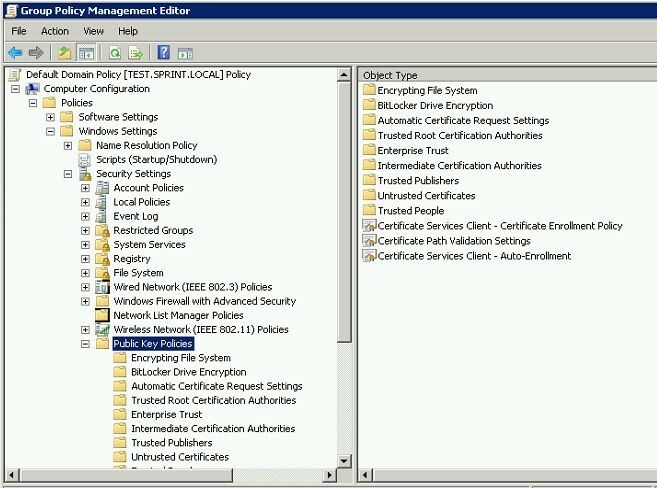 But part of it we can control using group policy. 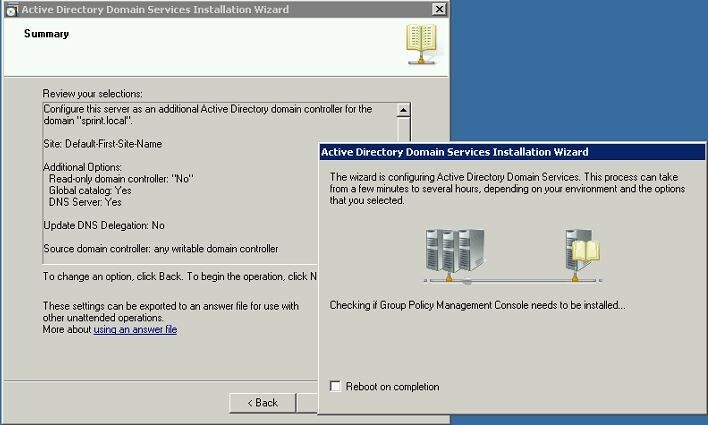 Before we go in to group policy lets set the log on hours restrictions to the sub domain users. 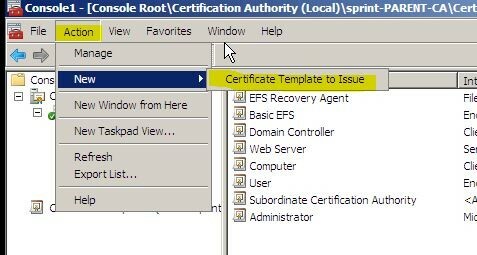 In the demonstration I will show how to restrict logins for staff under “sales.sprint.local” sub domain. 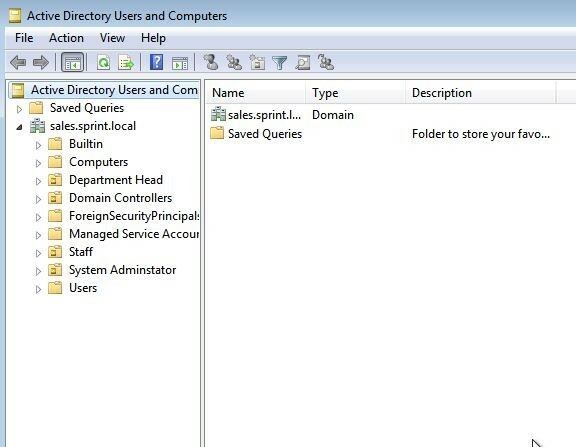 Under the sales.sprint.local Active Directory users and computers snap in I created new organization unit called “Staff”. 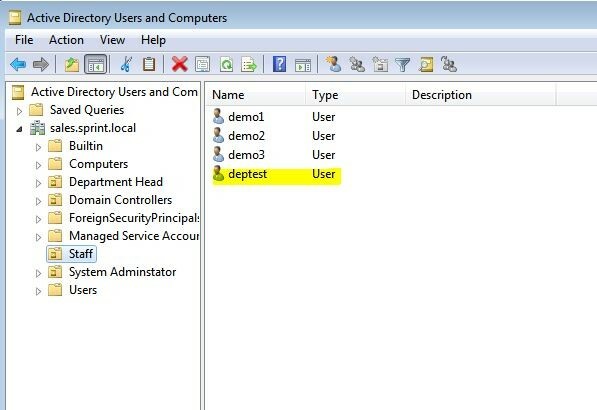 I will add 2 users called demo1 and demo 2. 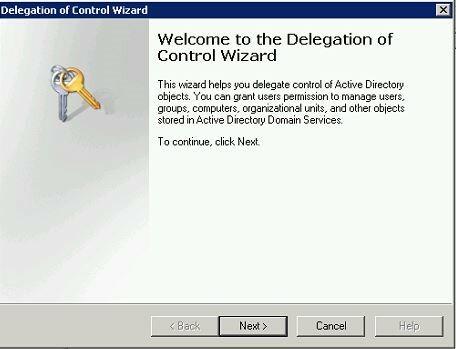 Then it will open up the wizard. 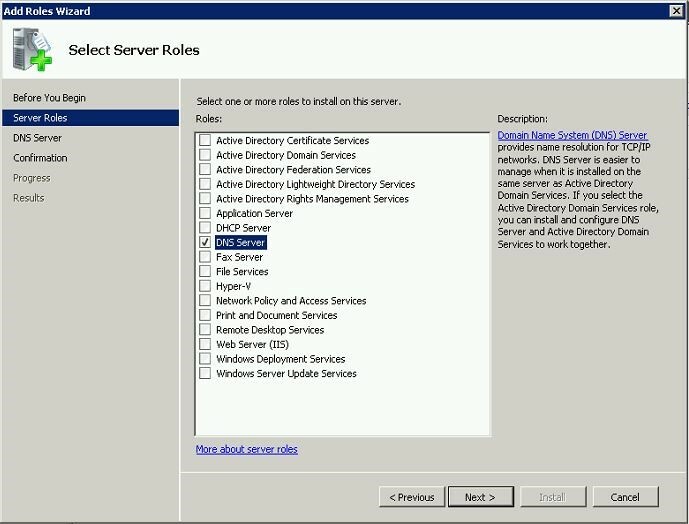 In there need to fill relevant user details. 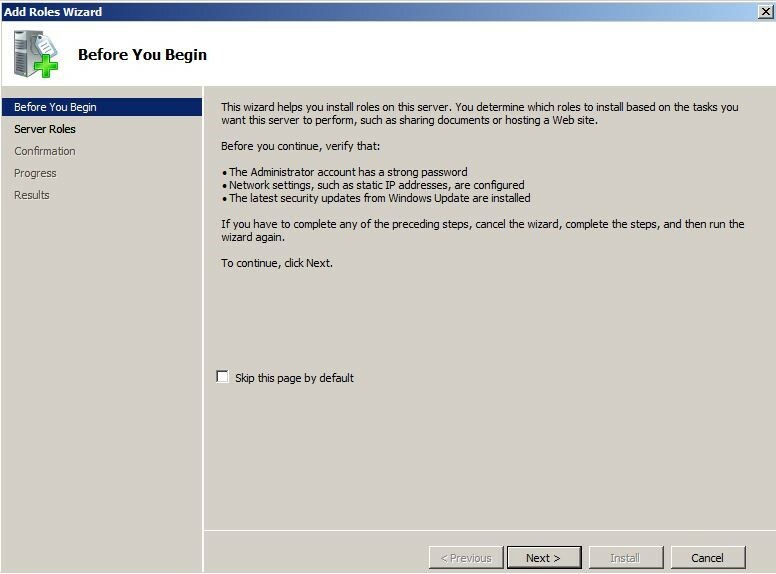 And click on next to continue. 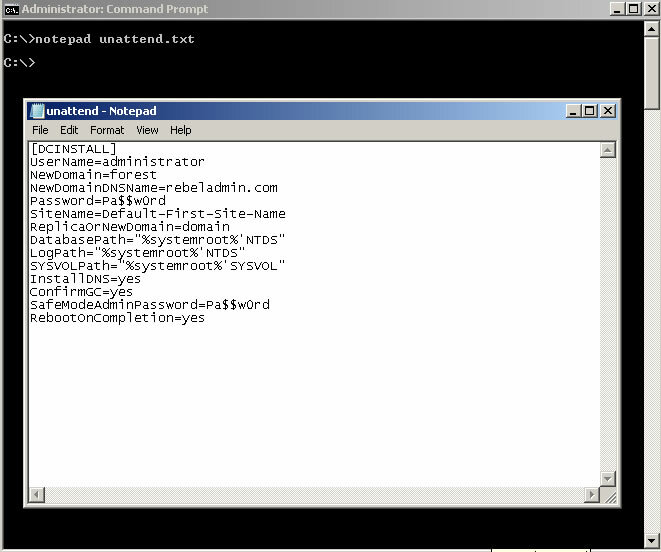 In next window need to define the password and other condition as require. Then click next to continue. 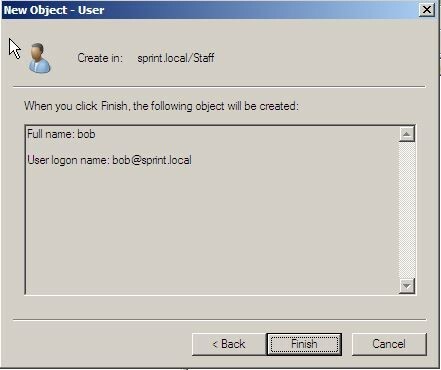 In next window it will give a confirmation and click on finish to complete the user add process. 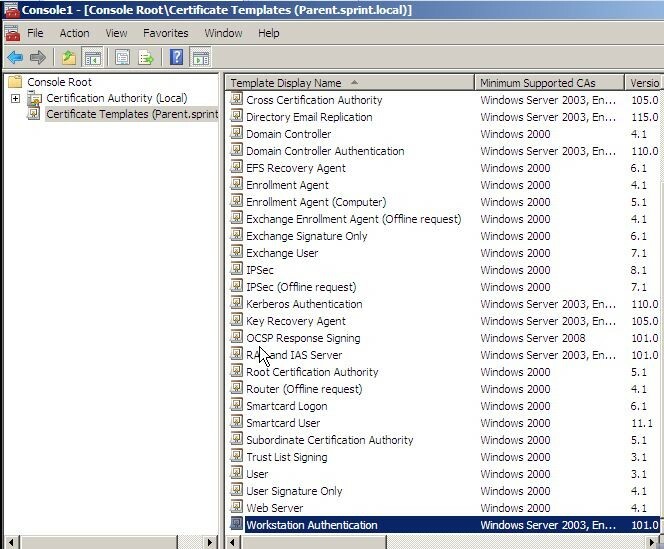 To add the login restrictions to all these users, Select them all and then right click to select properties. 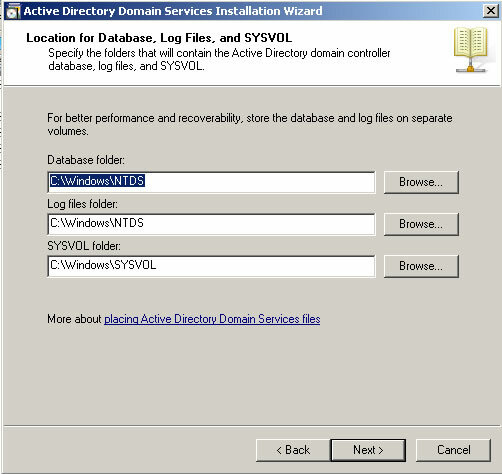 You can do it for individual users as well if need. 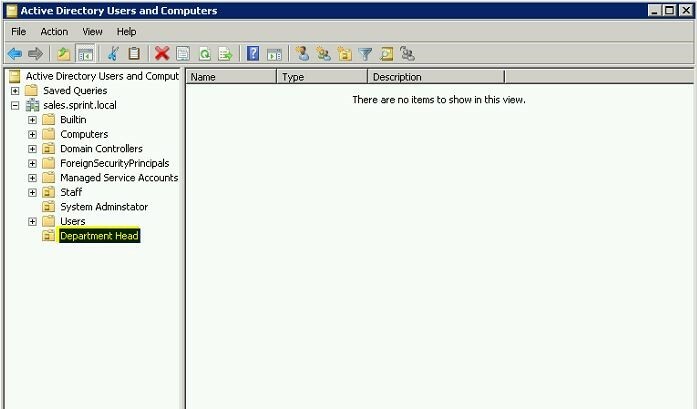 In new window select the account tab. 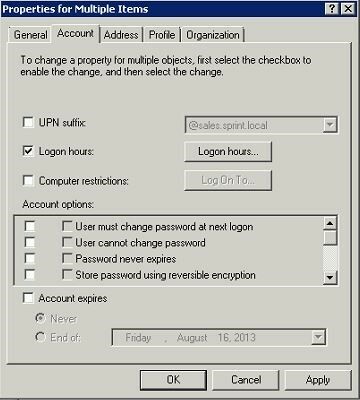 Then Click on check box in front “Logon Hours” and click on Logon Hours button. 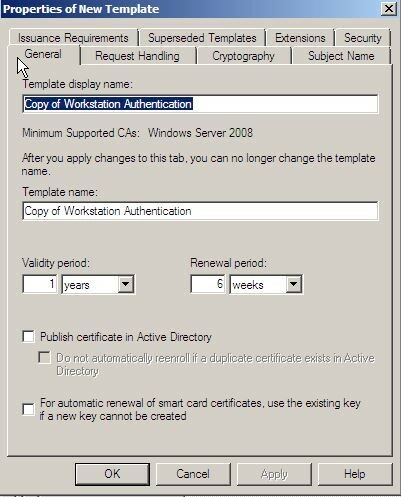 In next window I selected Sunday and restrict the logins for entire day. 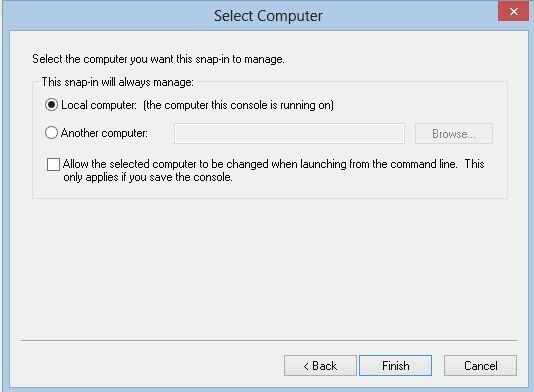 Then Click “Ok” twice in open windows to apply the changes. Now we have the restrictions in place. 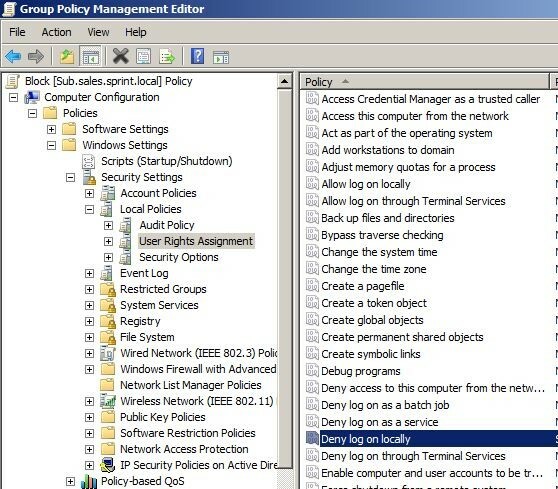 But we still need to enforce these logs on rules using group policy. 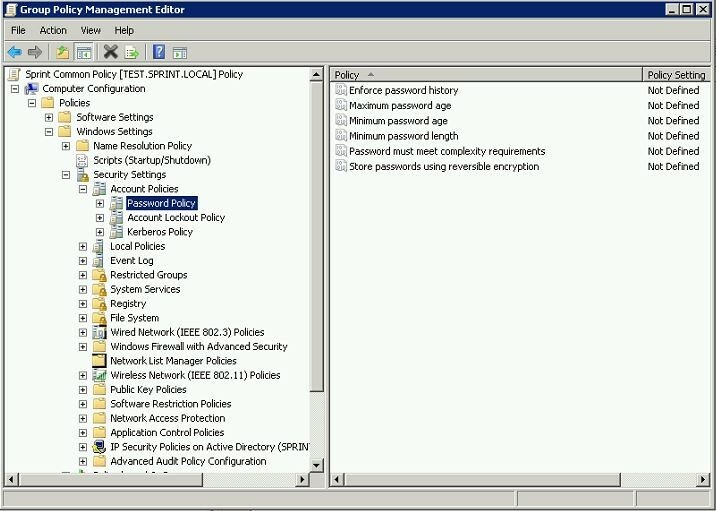 To do that we need to go back to “Group Policy Management” window. 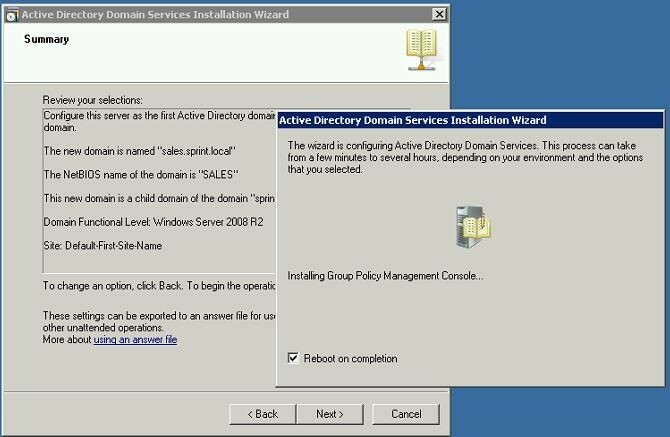 This group policy can created from child domain server also. 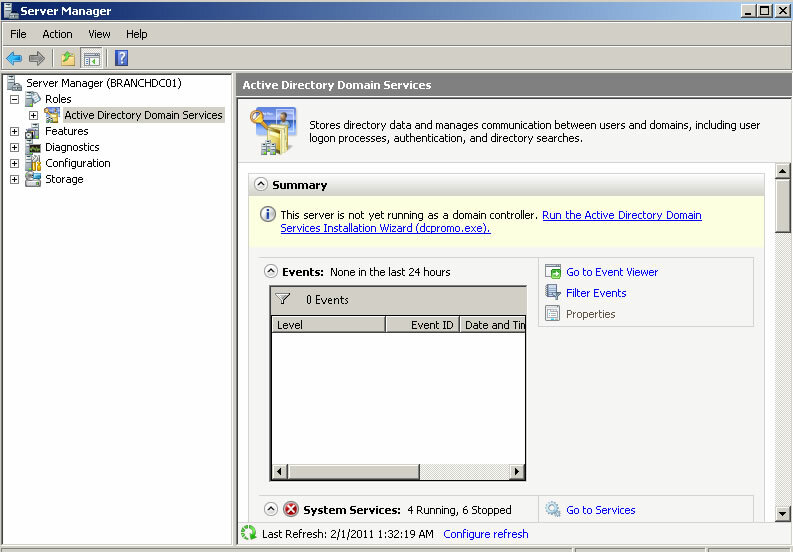 But I have chosen the same window I used from primary domain controller. 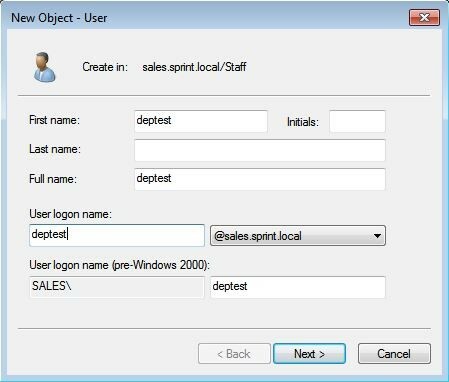 From the window select the domain “sales.sprint.local” and create new GPO with name “Log on Time Restrictions”. 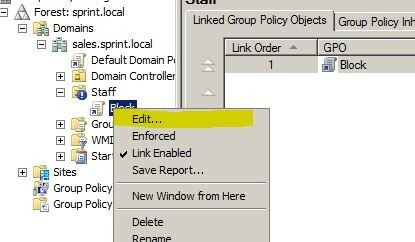 Right Click on it and then select “Edit” to go in to policy editing window. 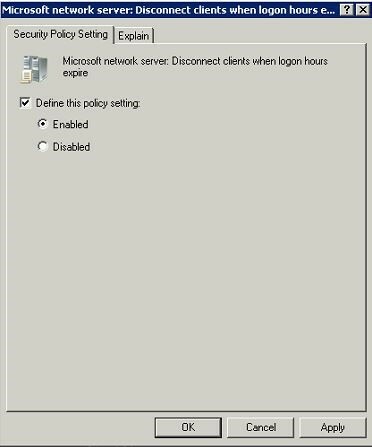 In the right pane of the Group Policy snap-in, double-click Microsoft network server: Disconnect clients when logon hours expire. 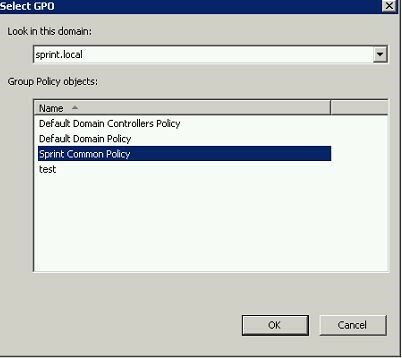 This is done now, so using this GPO we can enforce to disconnect clients when login hour expired if there were active sessions running. 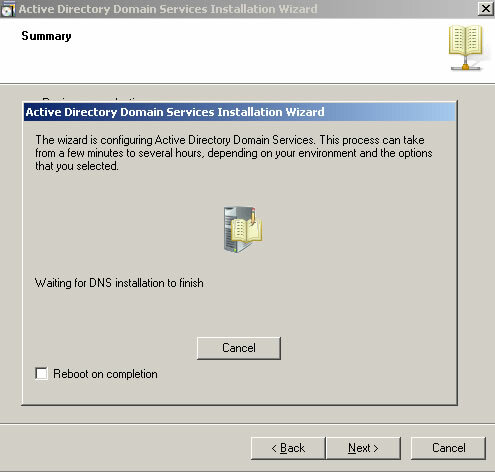 In a network if there is only one Domain controller and one DNS server in placed, in failure of that servers there will not have any way to log back in to domain. 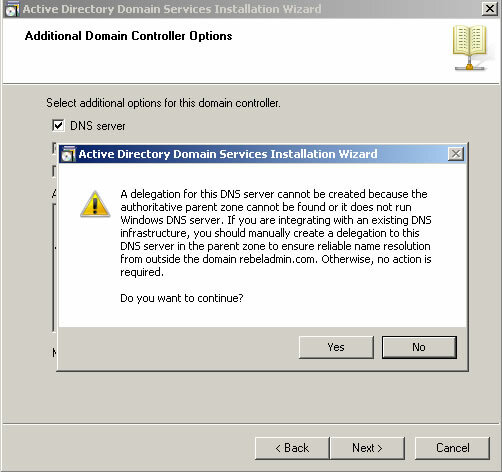 And also due to failure on DNS users will face routing issues even with internet. 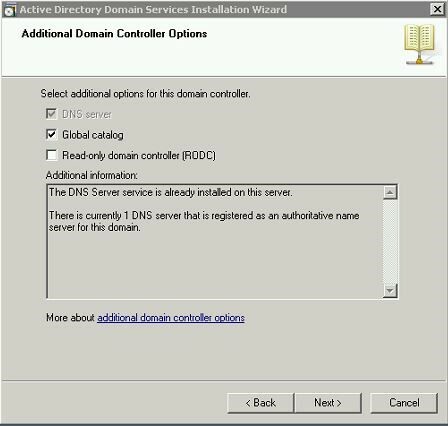 So to avoid from such issue the option is to setup new server as additional domain controller and replicate DNS records with it. 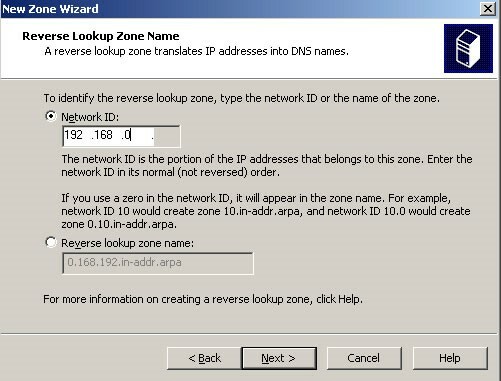 This can use as secondary DNS server for the network. 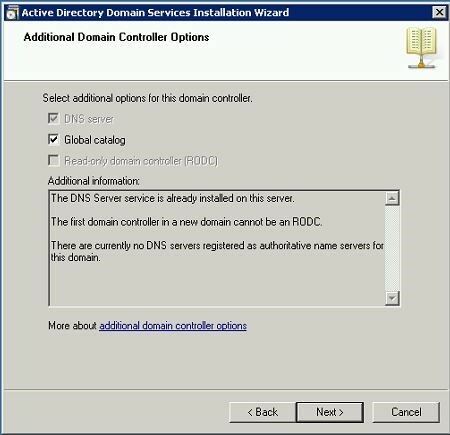 This domain controller will be global catalog server as well. 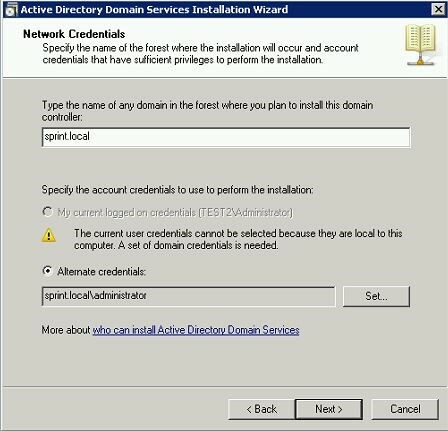 So in any failure of domain controller server will not affect the network and users will not face any issues with login or the routing. 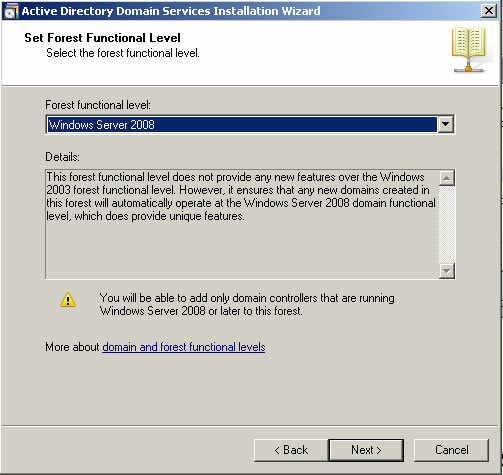 This doesn’t mean we can complete remove existing domain controller server in a failure as it holds FSMO roles still. 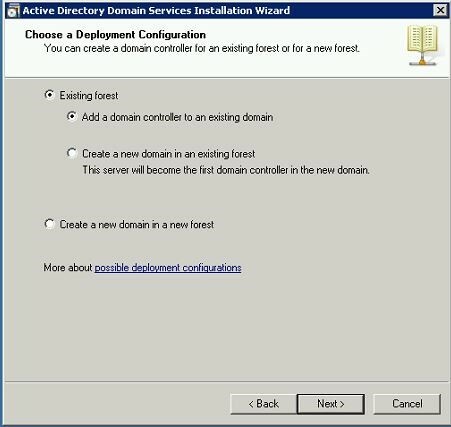 But with this method it will keep the network functioning until main domain controller back in network. 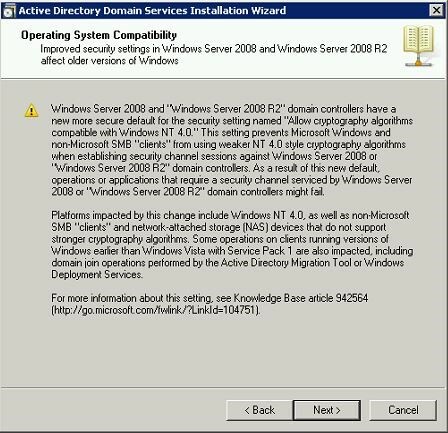 To do this we need to have server with windows 2008 r2 installed. 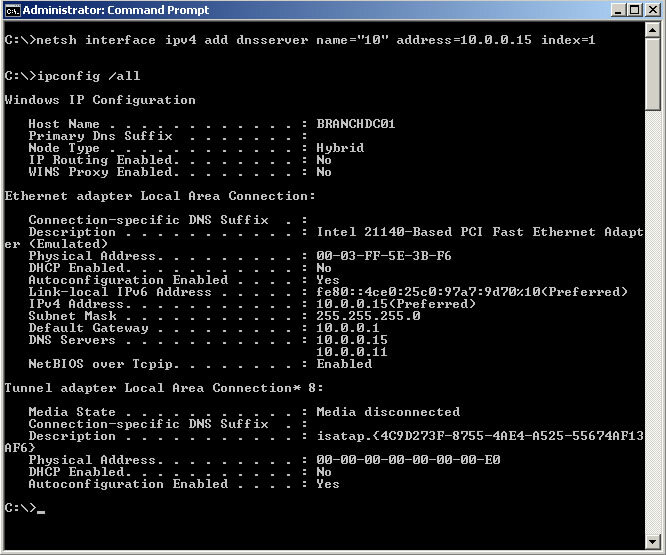 The ip of the server need to adjust according to the subnet which will primary domain server uses. 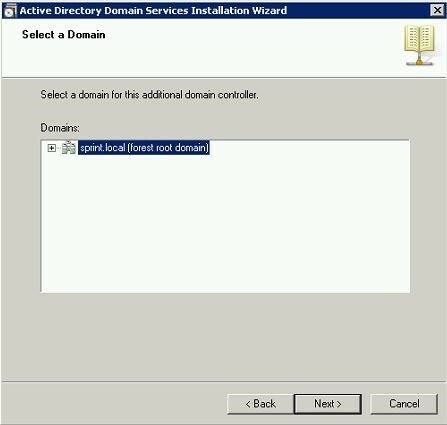 As first option the server need to be added to the domain “sprint.local” as client. 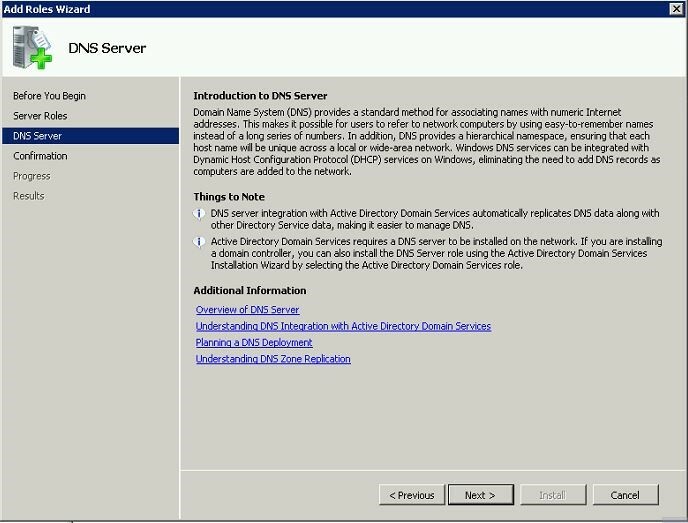 Then need to install DNS role and Active Directory Domain Services. 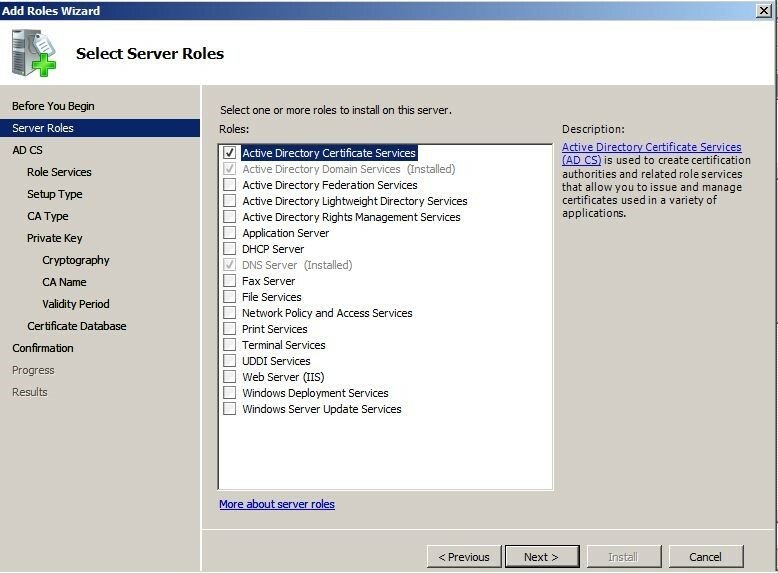 In previous sections I described how to add these roles, so I am not going to add same screenshots here. 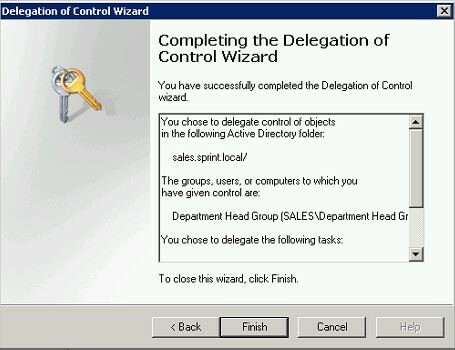 • I will start with the running dcpromo wizard by Start > Run > dcpromo. 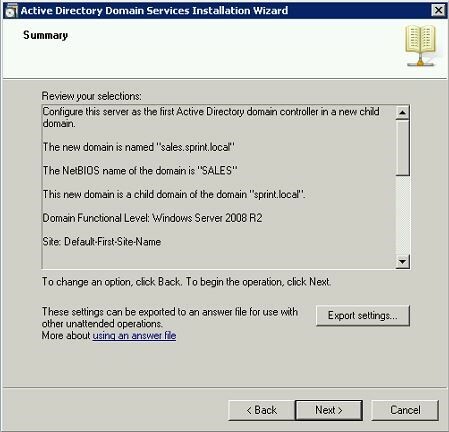 Then click on “next” to continue. • The next step is important. 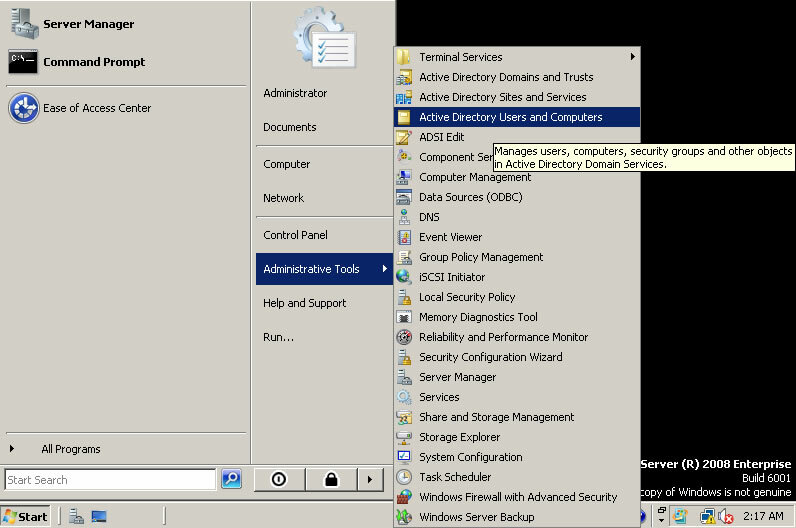 In here it will give opportunity to select what kind of setup we need with AD. 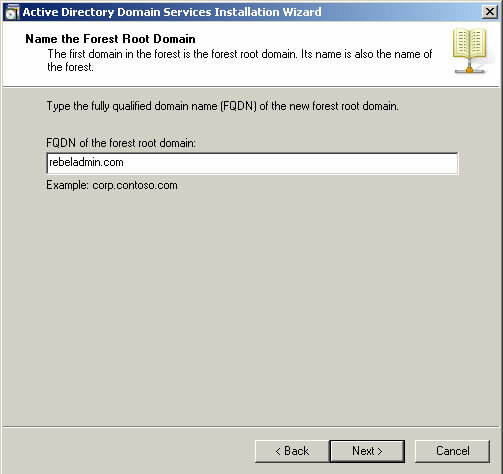 So as per requirement we will need to use “existing forest” but “add a domain controller to an existing domain”. 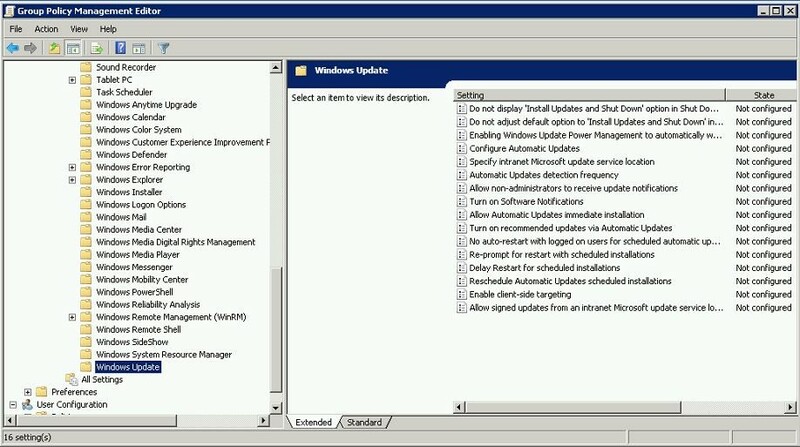 After selecting those options click “next” to continue. 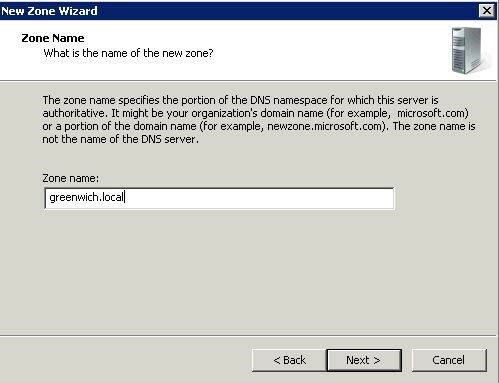 • In next window we can input the details about the existing domain. 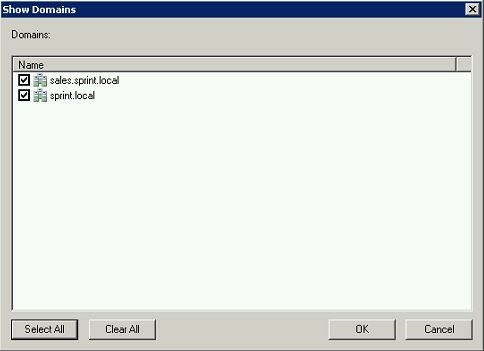 As per setup its “sprint.local”. • In next window it will ask to select the domain. 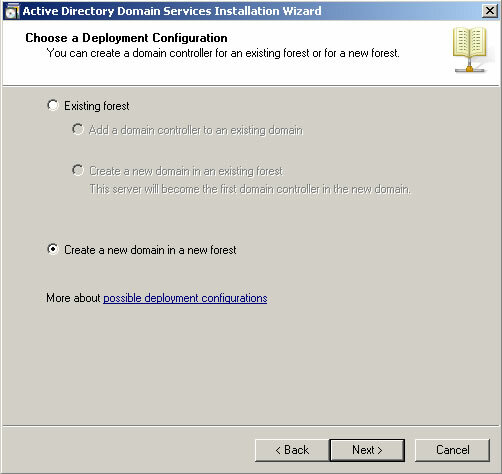 Select the default and click on next to continue. 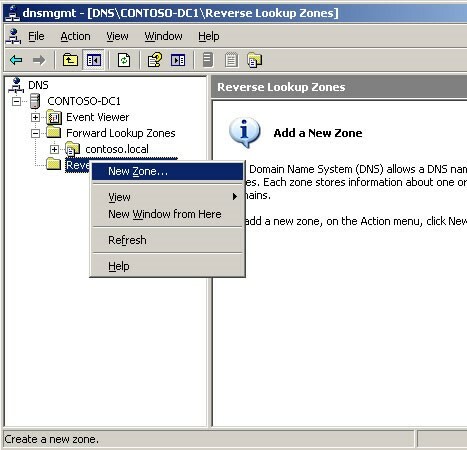 • In next window to select the site. 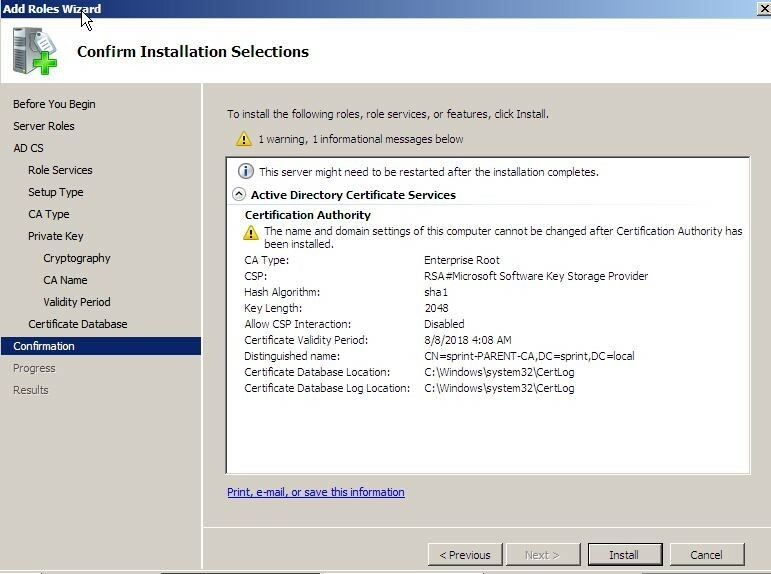 Keep the default and click next. 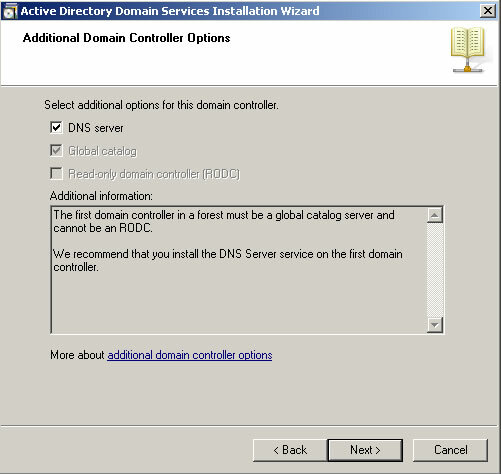 • In next window we need to select to make it as “global catalog” server and “dns server”. 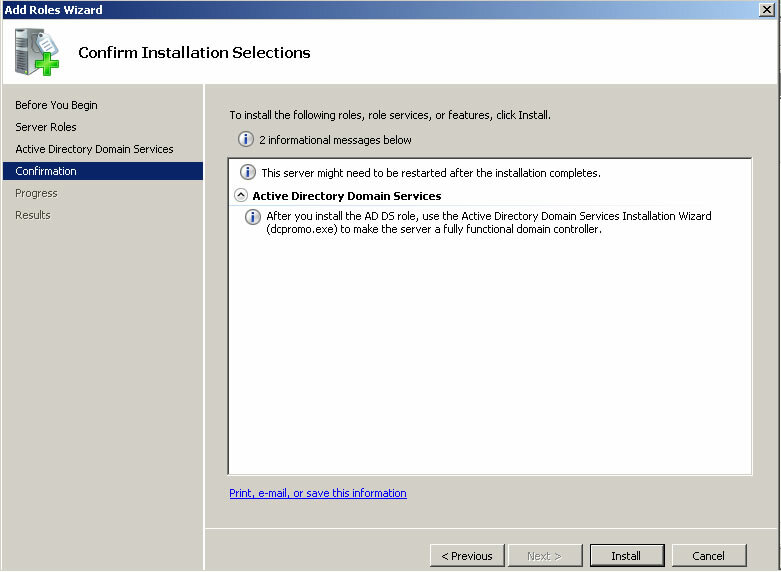 So now we have the primary domain server, additional domain server and child domain server in place.